The photo was taken at my hometown of Whittier, Ca. I saw the long shadows caused by palm trees on the other side of the street and worked that to my advantage. 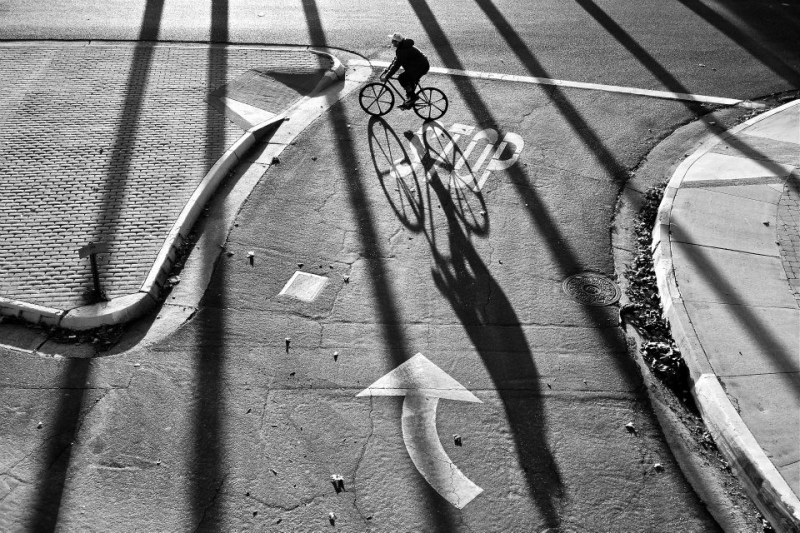 A biker came through my scene complimenting the shadow play just nicely.